Thats all. Game finished - Manchester City 4, Tottenham Hotspur 3. Second Half ended - Manchester City 4, Tottenham Hotspur 3. Corner - Tottenham Hotspur. Conceded by Leroy Sané. Shot blocked. Son Heung-Min - Tottenham Hotspur - shot with right foot from the right side of the box is blocked. Assist - Ben Davies. Offside - Tottenham Hotspur. Hugo Lloris with a pass, however Fernando Llorente is in offside. Delay in match - Manchester City Video Review. Offside - Manchester City. Bernardo Silva with a pass, however Sergio Agüero is in offside. Shot blocked. Ilkay Gündogan - Manchester City - shot with right foot from outside the box is blocked. Assist - Leroy Sané. Kevin De Bruyne - Manchester City - won a free kick in attack. Substitution - Tottenham Hotspur. Davinson Sánchez for Danny Rose. Sergio Agüero - Manchester City - won a free kick in defence. Missed chance. Ilkay Gündogan - Manchester City - shot with left foot inside of six yard box - left side goes high. Assist - Leroy Sané with a head. Fernandinho - Manchester City - won a free kick in attack. New attacking attempt. Christian Eriksen - Tottenham Hotspur - shot with left foot from more than 35 yards is saved in the left corner. Substitution - Manchester City. Leroy Sané for Benjamin Mendy. Dele Alli - Tottenham Hotspur - won a free kick in defence. Substitution - Tottenham Hotspur. Ben Davies for Lucas Moura. Offside - Tottenham Hotspur. Jan Vertonghen with a pass, however Fernando Llorente is in offside. New attacking attempt. Sergio Agüero - Manchester City - shot with the head from the centre of the box is saved in the top left corner. Assist - Kyle Walker with a cross. Missed chance. Ilkay Gündogan - Manchester City - shot with right foot from the right side of the box goes high after corner. Corner - Manchester City. Conceded by Danny Rose. Shot blocked. Bernardo Silva - Manchester City - shot with left foot from the right side of the box is blocked. Assist - Vincent Kompany. Victor Wanyama - Tottenham Hotspur - receive yellow card for a foul. Kevin De Bruyne - Manchester City - won a free kick in defence. Shot blocked. Christian Eriksen - Tottenham Hotspur - shot with left foot from the right side of the box is blocked. Assist - Son Heung-Min. Missed chance. Sergio Agüero - Manchester City - shot with left foot from the left side of the box is high and wide to the left. Assist - Raheem Sterling. Goal! 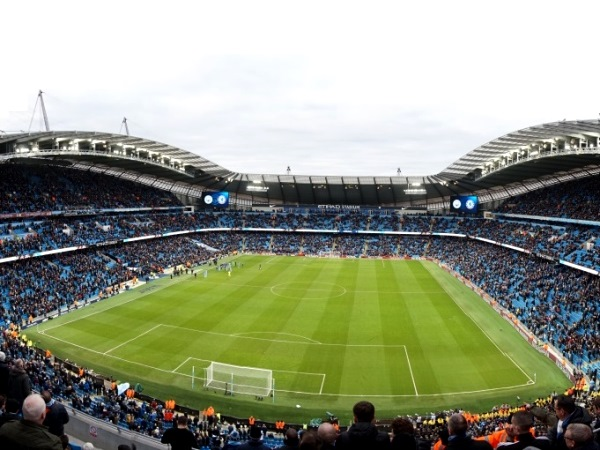 Manchester City 4, Tottenham Hotspur 3. Fernando Llorente - Tottenham Hotspur - shot with right foot from few metres to the left corner. Assist - Kieran Trippier with a cross after corner. Corner - Tottenham Hotspur. Conceded by Ederson. New attacking attempt. Son Heung-Min - Tottenham Hotspur - shot with right foot from a diffucult position on the right is saved in the right corner. Assist - Kieran Trippier. Christian Eriksen - Tottenham Hotspur - won a free kick in attack. Sergio Agüero - Manchester City - won a free kick on the left wing. Kyle Walker - Manchester City - won a free kick on the right wing. Offside - Tottenham Hotspur. Toby Alderweireld with a pass, however Lucas Moura is in offside. Offside - Manchester City. Ilkay Gündogan with a pass, however Raheem Sterling is in offside. Substitution - Manchester City. Fernandinho for David Silva. Lucas Moura - Tottenham Hotspur - won a free kick in attack. Goal! Manchester City 4, Tottenham Hotspur 2. Sergio Agüero - Manchester City - shot with right foot from the right side of the box to the right corner. Assist - Kevin De Bruyne with a through ball. New attacking attempt. Christian Eriksen - Tottenham Hotspur - shot with right foot from outside the box is saved by goalkeeper in the centre of the goal. Assist - Lucas Moura. New attacking attempt. Fernando Llorente - Tottenham Hotspur - shot with the head from the centre of the box is saved in the left corner. Assist - Dele Alli with a cross. Fernando Llorente - Tottenham Hotspur - won a free kick on the right wing. Missed chance. David Silva - Manchester City - shot with the head from the centre of the box goes high. Assist - Ilkay Gündogan with a cross . Bernardo Silva - Manchester City - won a free kick on the right wing. Danny Rose - Tottenham Hotspur - receive yellow card for a foul. Corner - Manchester City. Conceded by Hugo Lloris. New attacking attempt. Kevin De Bruyne - Manchester City - shot with right foot from the centre of the box is saved in the top left corner. Assist - Sergio Agüero. Corner - Manchester City. Conceded by Son Heung-Min. Missed chance. Bernardo Silva - Manchester City - shot with right foot from few metres missed. New attacking attempt. Raheem Sterling - Manchester City - shot with right foot from the centre of the box is saved by goalkeeper in the centre of the goal. Assist - David Silva. Missed chance. 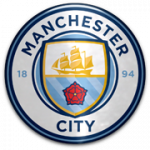 Kevin De Bruyne - Manchester City - shot with right foot from outside the box is very close to the goal from a free kick. Son Heung-Min - Tottenham Hotspur - receive yellow card for a foul. Second Half starts Manchester City 3, Tottenham Hotspur 2. First Half ended - Manchester City 3, Tottenham Hotspur 2. New attacking attempt. Kevin De Bruyne - Manchester City - shot with left foot from outside the box is saved in the right corner. Assist - Bernardo Silva. Shot blocked. Kyle Walker - Manchester City - shot with right foot from outside the box is blocked. Assist - Ilkay Gündogan. Missed chance. Son Heung-Min - Tottenham Hotspur - shot with left foot from the left side of the box missed. Assist - Christian Eriksen. Substitution - Tottenham Hotspur. Fernando Llorente for Moussa Sissoko - injury. Moussa Sissoko - Tottenham Hotspur - receive yellow card. 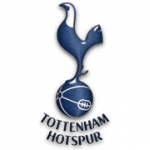 Delay in match Moussa Sissoko - Tottenham Hotspur - - injury. Corner - Manchester City. Conceded by Toby Alderweireld. Shot blocked. Sergio Agüero - Manchester City - shot with right foot from the right side of the box is blocked. Assist - Kevin De Bruyne. Danny Rose - Tottenham Hotspur - won a free kick in defence. Missed chance. Bernardo Silva - Manchester City - shot with left foot from the right side of the box missed to the left. Assist - Kyle Walker. Goal! Manchester City 3, Tottenham Hotspur 2. Raheem Sterling - Manchester City - shot with left foot inside of six yard box - left side to the centre of the goal. Assist - Kevin De Bruyne with a cross. Missed chance. Christian Eriksen - Tottenham Hotspur - shot with left foot from outside the box is high and wide to the left. Missed chance. David Silva - Manchester City - shot with left foot from outside the box goes high from a free kick. Kyle Walker - Manchester City - won a free kick in attack. Lucas Moura - Tottenham Hotspur - won a free kick on the right wing. Goal! Manchester City 2, Tottenham Hotspur 2. Bernardo Silva - Manchester City - shot with left foot from the right side of the box to the right corner. Assist - Sergio Agüero. Goal! Manchester City 1, Tottenham Hotspur 2. Son Heung-Min - Tottenham Hotspur - shot with right foot from the centre of the box to the right corner. Assist - Christian Eriksen. Goal! Manchester City 1, Tottenham Hotspur 1. Son Heung-Min - Tottenham Hotspur - shot with right foot from outside the box to the high centre of the goal. Goal! Manchester City 1, Tottenham Hotspur 0. Raheem Sterling - Manchester City - shot with right foot from the left side of the box to the right corner. Assist - Kevin De Bruyne.